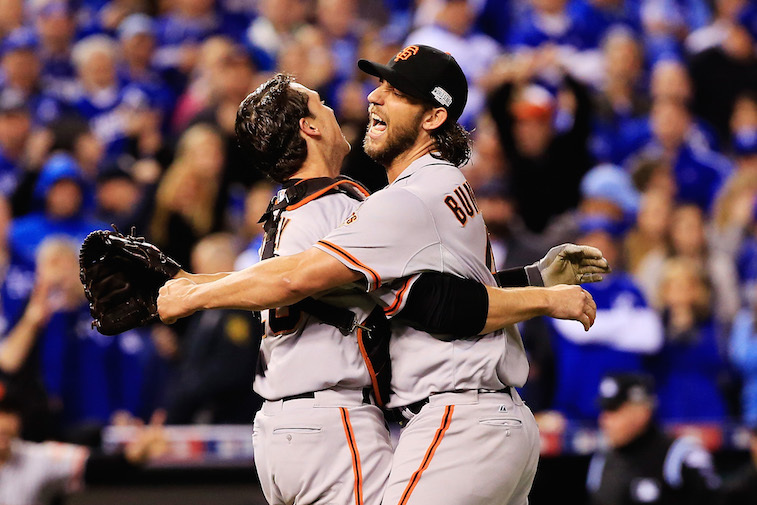 MLB: Can the Giants Finally Establish a Dynasty in 2015? The concept of a dynasty in modern sports is tricky one. In the not too distant past the UCLA Bruins Men’s Basketball team won seven national championships in a row, nine in ten years, and 10 in 12, but that was from 1964 through 1975. The NHL has seen teams such as the Montreal Canadiens and New York Islanders win four Stanley Cups in a row, but not since the early 1980s. And the Boston Celtics of the 1960s won eight NBA titles in a row, as well as 11 titles in a 13 season span. More recently, however, dynasties have been marked by their longevity rather than their ability to go on championship winning streaks. The New York Yankees of 1998-2000 and Los Angeles Lakers of 2000-2002 are the only recent three-peat winners since the Michael Jordan Chicago Bulls of the 1990s and generally, our idea of dynastic teams is now rooted in how many victories they’ve had over a longer period of time — see the San Antonio Spurs and their five championships in 15 years from 1999 through 2014. It should say everything that the moment a team wins even its first, we begin to ask the question. 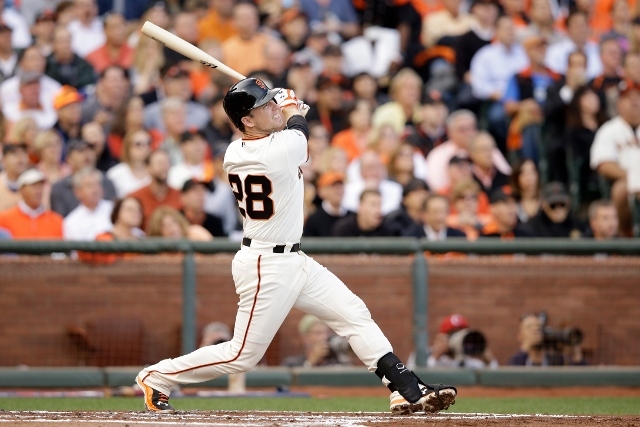 Baseball’s most recent major contender for label of a dynasty is the San Francisco Giants, who have prevailed in three of the past five World Series. They’ve also come up short of even making the playoffs in the two intervening years. Whether or not this latest iteration of the Giants is, in fact, a dynastic team, one thing is certain as they enter the last leg of their 2015 playoff chase: they would love to put an end to their quixotic on-again, off-again pattern and at least give themselves a chance at a repeat. The Giants have been anything but static when it comes to personnel changes over the past five years. Remember when Brian Wilson and his crazy beard were closing out games? Or when it was Tim Lincecum and Matt Cain who got all the attention from beat writers, rather than Madison Bumgarner? All told, they still retain eight members of their 2010 championship team (as well as manager Bruce Bochy), but of those only Buster Posey is a position player and four are bullpen arms — sometimes five if you count Lincecum. That they can still roll out potentially three fifths of their 2010 rotation is actually pretty impressive, all the more so when you consider that good pitching has been an instrumental factor in their success of recent years. Their earned run average as a team in 2010, 2012, and 2014 was 3.36, 3.68, and 3.50 respectively, good for rankings of 1st, 7th, and 10th, in the majors. While 2011 saw them remain in 2nd with a 3.20 ERA, the team plummeted in 2013 to a mark of 22nd, sporting a 4.00. Their current 3.67 ERA and ranking of 10th puts them more in line with their successful seasons than with their misses. In terms of batting, the Giants have never been a juggernaut, but they are a respectable 12th in baseball with 532 runs thus far. Here’s a weird fact: in 2014 and 2012, they also ranked 12th with run totals of 665 and 718, respectively. In 2010, they settled in just 17th in spite of putting up 697 runs. 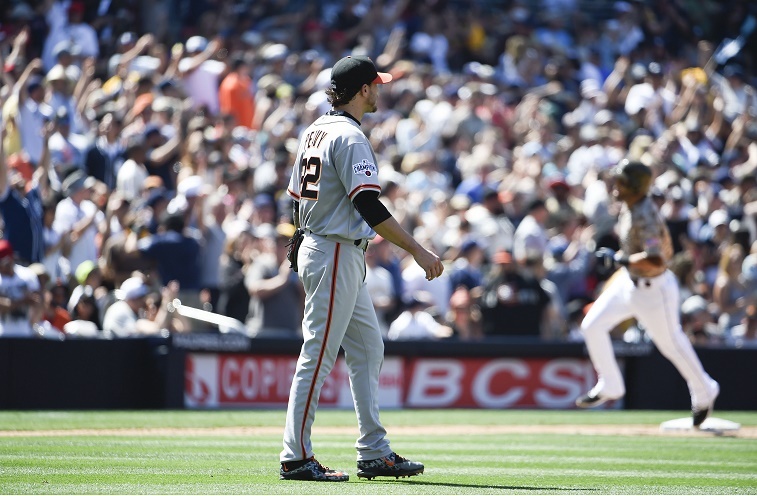 Their 2011 pitching performance was mostly undone by the team’s fall to 29th in runs scored, with just 570, while the 2013 Giants crossed home plate 629 times, good for 21st. As the offense goes, so go the Giants, it seems. And that’s a positive indicator for this season’s team. Lastly, there’s the matter of San Francisco’s record over the past few years and how their current record measures up. In order, the Giants won 92, 86, 94, 76, and 88 games from 2010-2014. Their winning percentages in those seasons were .568, .531, .580, .469, and .543. They currently sit at 66-58 and hold a .532 winning percentage. For those of you keeping score, that’s below any of their title teams and almost identical to the 2011 team that finished four games out of the Wild Card. It equates to just about 87 wins, right in between their 2011 miss and their 2014 title. They’re currently just 1.5 games back of the Dodgers in the National League West, but a full six back of the Cubs for even the second-Wild Card spot, although they do begin a pivotal three-game series against Chicago this week. San Francisco’s hopes of unseating the Cubs or Pirates in the Wild Card will essentially go by the wayside if they can’t manage to sweep Chicago at home, starting with tonight’s game. After losing six of seven to Pittsburgh and getting swept in a recent four-game set by the Cubs, the possibilities appear grim. Catching the Dodgers, on the other hand, is far more likely. As L.A. creeps ever closer to an insane $300 million payroll, they nonetheless went just 3-9 against San Francisco in the season’s first half. When the rivalry resumes down the stretch, the defending champs could very well bring a “nothing to lose” mentality to their matchups with the boys in blue, who by all accounts should have put this race away weeks ago with their bloated payroll and the Giants’ injuries. The Dodgers are paying an awful lot for a .545 winning percentage and the Giants (depending on your rooting interest) seem like either an indefatigable hero or a zombie from a B-horror movie that simply refuses to die. They’re too close for comfort and that leads us here at the Sports Cheat Sheet to believe that the team they’re chasing from Hollywood will be in for an unhappy ending when this is all over and done with. And as for the Giants, they will get an opportunity to add to their already dynastic legacy. Final Stats: The Giants exceed expectations just a bit, taking the NL West with an 89-73 record to L.A’s 87-75.